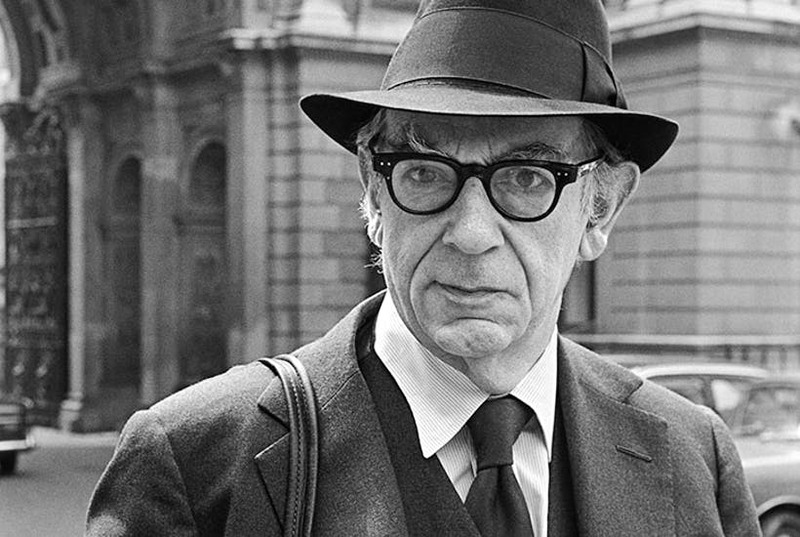 In The Roots of Romanticism, Isaiah Berlin argues that Romanticism is, among thought movements in recent history, the one that most strongly shaped the history of the Western world. And not only in the arts, science and philosophy, where it had its roots. Most directly through politics and ethics, ideas of Romanticism forever changed lives of ordinary people. To understand the magnitude of change in the prevailing thought of the ages that followed, Berlin paints a picture of the foundations of Western Rationalist tradition. These foundations are then contrasted with the strong emotional and individualistic predilection of Romantic thinkers. Beginning chapter 2. – The First Attack on Enlightenment – Berlin lays out the three legs upon which the Western thought was built upon, from the age of Enlightenment all the way back to Socrates. There are three propositions, if we may boil it down to that, which are, as it were, the three legs upon which the whole Western tradition rested. They are not confined to the Enlightenment, although the Enlightenment offered a particular version of them, transformed them in a particular manner. The three principles are roughly these. First, that all genuine questions can be answered, that if a question cannot be answered it is not a question. We may not know what the answer is, but someone else will. We may be too weak, or too stupid, or too ignorant, to be able to discover the answer for ourselves. In that case the answer may perhaps be known to persons wiser than us – to experts, an elite of some sort. We may be sinful creatures, and therefore incapable of ever arriving at the truth by ourselves. In that case, we shall not know it in this world, but perhaps in the next. Or perhaps it was known in some golden age before the Fall and the Flood had rendered us as weak and as sinful as we are. Or perhaps the golden age is not in the past, but in the future, and we shall discover the truth then. If not here, there. If not now, at some other time. But in principle the answer must be known, if not to men, then at any rate to an omniscient being, to God. If the answer is not knowable at all, if the answer is in some way in principle shrouded from us, then there must be something wrong with the question. This is a proposition which is common both to Christians and to scholastics, to the Enlightenment and to the positivist tradition of the twentieth century. It is, in fact, the backbone of the main Western tradition, and it is this that Romanticism cracked. The second proposition is that all these answers are knowable, that they can be discovered by means which can be learnt and taught to other persons; that there are techniques by which it is possible to learn and to teach ways of discovering what the world consists of what part we occupy in it, what our relation is to people, what our relation is to things, what true values are, and the answer to every other serious and answerable question. The third proposition is that all the answers must be compatible with one another, because, if they are not compatible, then chaos will result. It is clear that the true answer to one question cannot be incompatible with the true answer to another question. It is a logical truth that one true proposition cannot contradict another. If all answers to all questions are to be put in the form of propositions, and if all true propositions are in principle discoverable, then it must follow that there is a description of an ideal universe – a Utopia, if you like – which is simply that which is described by all true answers to all serious questions. This Utopia, although we may not be able to attain to it, is at any rate that ideal in terms of which we can measure off our own present imperfections. The general pattern, I wish to stress, of this notion is that life, or nature,1 is a jigsaw puzzle. We lie among the disjected fragments of this puzzle. There must be some means of putting these pieces together. The all-wise man, the omniscient being, whether God or an omniscient earthly creature – whichever way you like to conceive it – is in principle capable of fitting all the various pieces together into one coherent pattern. Anyone who does this will know what the world is like: what things are, what they have been, what they will be, what the laws are that govern them, what man is, what the relation of man is to things, and therefore what man needs, what he desires, and also how to obtain it. All questions, whether of a factual nature or of what we call a normative nature – questions such as ‘What should I do?’ or ‘What ought I to do?’ or ‘What would it be right or appropriate for me to do?’ – all these questions are answerable by someone who is capable of fitting together the pieces of the jigsaw puzzle. It is like a hunt for some kind of concealed treasure. The only difficulty is to find the path to the treasure. Upon this, of course, theorists have differed. But in the eighteenth century there was a fairly wide consensus that what Newton had achieved in the region of physics could surely also be applied to the regions of ethics and of politics. Here Berlin makes a particularly interesting observation – some disciplines are so successful on their own playing fields, that they shape thinking widely outside the inner circles of the discipline, for entire generations. “There is no reason why such answers, which after all have produced triumphant results in the worlds of physics and chemistry, should not equally apply to the much more troubled fields of politics, ethics and aesthetics.” – says Berlin, pointing to such tendencies with Enlightenment thinkers. Sociology in the 19th, and Psychology in the 20th are outstanding examples, according to Berlin, of a discipline so promising that it gets applied beyond its primary sphere. No doubt that technology is our silver bullet of today. Technology is a product of pure reason so it’s unsurprising that it helps with problems within the scope of reason. But perhaps surprisingly, we’re turning to technology and science to solve our emotional problems and needs. Just as Hegelian dialectic predicts, today we’re reconciling the thesis and the antithesis, reason and emotions, trying to leverage one to nurture the other.